Ed Donahue (her real name is Erin but she goes by Ed – go figure) has joined the Microsoft academic team as an academic developer evangelist for the Washington DC area. This apparently includes Maryland, Washington, D.C., Virginia, West Virginia, North Carolina, and South Carolina. She’s a great person I first met through her involvement with the Imagine Cup. She and her team were twice US finalists in the software design competition. For the most part I want to focus on the future and not the past. But I did want to take one look back at traffic to my computer science teacher blog over the course of 2010. I have rough metrics for both web traffic and RSS/subscriber traffic. I hope you will subscribe if you read blogs via RSS BTW. 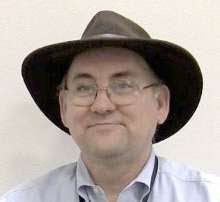 To subscribe to my blog please use http://feeds.feedburner.com/ComputerScienceTeacher as the RSS feed source. Subscribe now so you don’t miss any of the wheat among the chaff. Controversy ruled and point of view posts with opinions topped the list of most read blog posts of 2010 based on Web-based traffic. Although my reviews of visual programming languages and discussion of Kodu (graphical programming for very young students) were also big hits. Confirming that both lists and free items are traffic draws my recent list of free ebook from Microsoft also made the list. Most of the top posts were from the last couple of months but one of them, a discussion of computer engineer Barbie was from last January. Does Learning Computer Programming Help Anything Else? The list of most read via RSS reader was almost completely different though. Here information and more pedagogical discussions ruled with a weekly interesting links post (Interesting Links 29 March 2010) toping the list. That was a surprise! Interesting Links 29 March 2010 Some good links but I’m not sure what made it so widely read. I really do try to have good links in all of those weekly links posts though. NCWIT Award for Aspirations in Computing This is a great program from NCWIT to recognize and support young women interested in computing careers. Looks like another site did help me get traffic here and for that I thank them. Web Development or Computer Science What sorts of courses are schools calling computer science and is it helpful? What are you using? Where I asked people which of the resources I blogged about they were using. http://www.jayscustomcomputers.com/ also sent RSS traffic here. Playing Video Games Will Not Get You a Job But creating games might! Cheating In Computer Science Classes How common is it? Is it worse than in other subjects? Programming Contests – for good or for bad Everyone has an opinion. Do you use them? Rethinking Hello World One of my favorite posts of the year. I think we really do need to rethink the projects we assign. Closely related to this post was Projects that Mean Something and Characteristics of a Good Programming Project. I’m not sure what it means that the two lists are so very different. I know that the most web read post are largely because external sites with huge readerships linked to them. So I probably see a lot of one time traffic from people who are not in education. 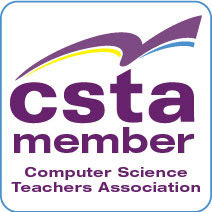 So while that is nice and it is exciting to have a post read by thousands of people from time to time my goal is to be helpful to computer science educators. That is not a goal that can be measured by readership numbers. Comments, either on a post or via email (alfredth@microsoft.com) or Twitter (@AlfredTwo) are always welcome to help me gauge that sort of success.